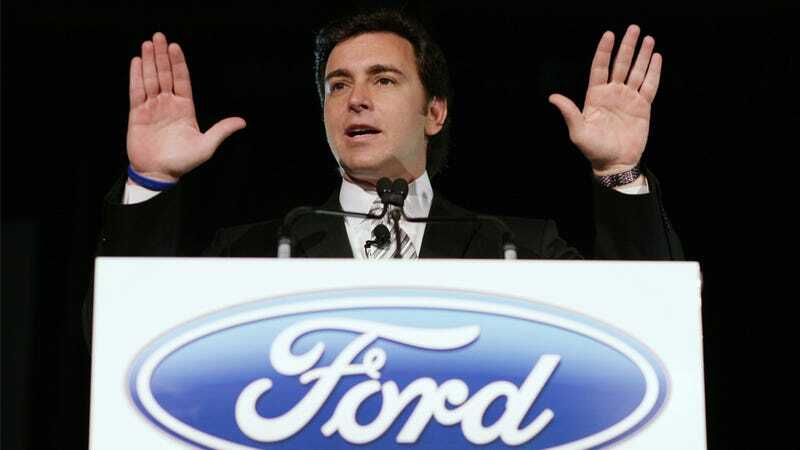 Surprising absolutely no one, Ford will name executive Mark Fields the CEO of Ford Motor Company, replacing Alan Mulally according to Bloomberg, who says the announcement could be made officially as soon as next month. Ford Motor Co., the second-largest U.S. automaker, will soon name Mark Fields its next chief executive officer and reveal when current CEO Alan Mulally will retire from the company he is credited with saving, according to two people familiar with the pending announcement. Mulally, 68, will step down before the end of the year and be succeeded by Fields, 53, now chief operating officer, according to the people, who asked not to be identified revealing internal plans. The Dearborn, Michigan-based company may announce the moves as soon as May 1, the people said. Fields has long been groomed by Ford as the replacement for Mulally, and has overseen much of the company's international operations as COO. Also, speaking of grooming, we made a lot of jokes about his hair.